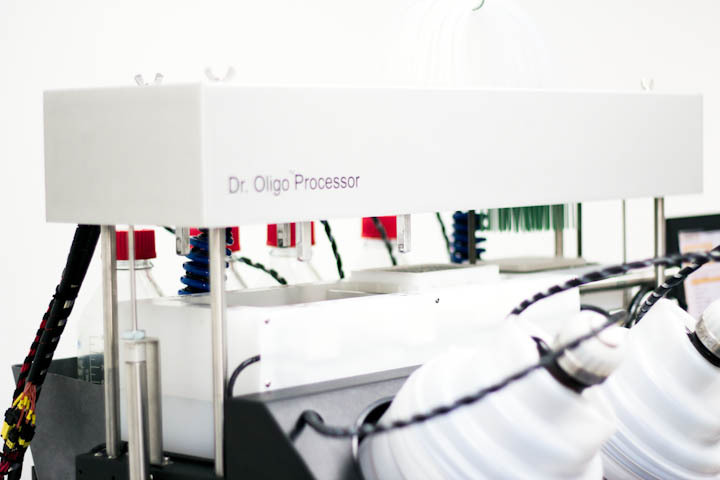 The Dr. Oligo Processor reliably automates downstream processing (cartridge-based desalting or purification) to minimize cross-contamination, and can also be set up for automated extraction of any solid supports (Solid Phase Extraction.) 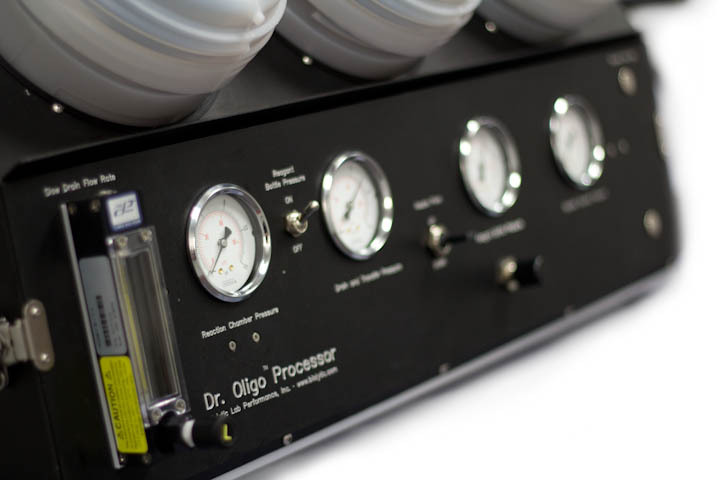 The automation transfers crude oligos from your reaction vessels and performs all chromatography steps, as well as on-column detritylation. An identical process from one oligo to the next and one run to the next will consistently produce higher recovery yields. This instrument can be used with Glen Research, Biosearch, Phusa Chem, Varian and many other commercial suppliers of OPC cartridges. The Biolytic Dr. Oligo Processor is built to the highest quality standards, are easy-to-operate, and can dispense up to 8 reagents in a 96 well plate format. If you are having trouble viewing the video, click this link to view the video directly. 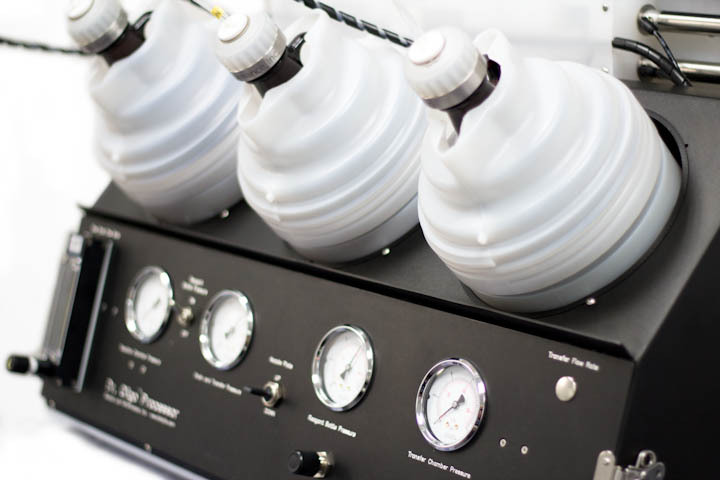 Dimensions: Standard: 30" x 25" x 26" , Operating: 48" x 25" x 32"
Low reagent and gas consumption reducing operating costs. Fully automated version performs all of the chemistry as well as transferring the oligos to the reaction columns. 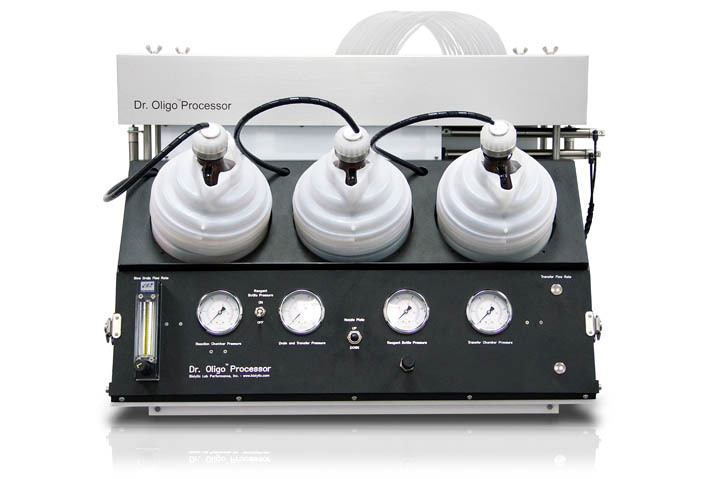 Semi-Automated version performs all of the chemistry steps but oligos must be applied manually with a pipette to reaction column.